I love Hawaiian music. I love its unique musicality, its special, so-called, slack key tunings. Hawaiian songs are enchanting, whimsical even mystical. They are sweet and gentle, infused with tropical fragrance and inspired with the spirit of Aloha. I believe that the musicality of the Hawaiian language has something to do with it. It is one of very few languages with ONLY open syllables. Hawaiian words and sentences simply want to be chanted or sung. But if you look into the lyrics, you realize that words are not only melodious, they are like deep enigmas, they have layers and layers of meanings. Even the simplest songs are far from trivial. On the surface they are about flowers, beaches, waterfalls, breezes ... but underneath are hidden treasures of meaning. Stringing flowers in a cold night is about passionate love (Ahi Wela), clinking of shiny shells is not only an adorable lullaby but celebration of motherly love (Pūpū Hinuhinu). And these are just common and expected metaphors. We can progress and find a ditty about rains, breezes and other weather phenomena which captures the geography of the entire island (Hilo Hanakahi). And furthermore, a famous love song about Waipio Valley waterfalls (waterfalls stand for lovers) can also teach us respect and love of the local nature (Hi‘ilawe). And in another song, beach-sand is made into a reminder of Hawaiian patriotism (Hawai‘i Aloha) while a melodious song which opens with a line about “the Famous flowers of Hawaii” is in fact a powerful protest-song against American military occupation and colonialism (Kaulana Nā Pua). 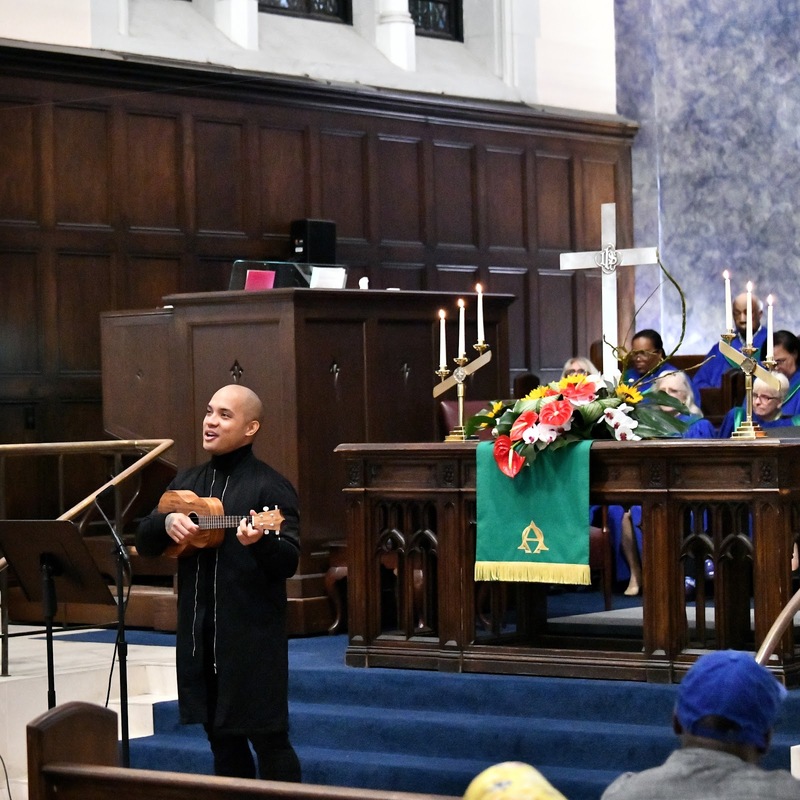 Even a Hawaiian Christian hymn or song often contains some surprising message. On the surface it might be just a simple paraphrase of the biblical text, but under the surface is this deep spiritual intuition and radical social justice message easily matching the cutting edge scholarship. 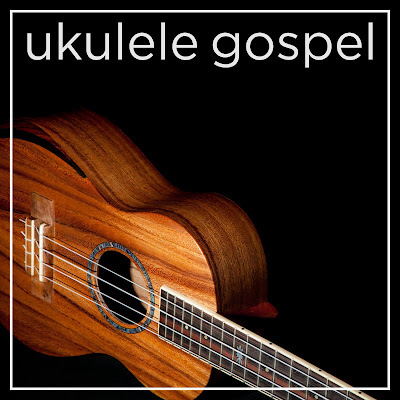 Join us this Sunday as we open the “Ukulele Gospel” and let it reveal the new insights from the story of Jesus and the Rich Man (Iesu Me Ke Kanaka Waiwai). Kumu Kainoa plays tenor ukulele and sings "Iesu me ke kanaka waiwai"